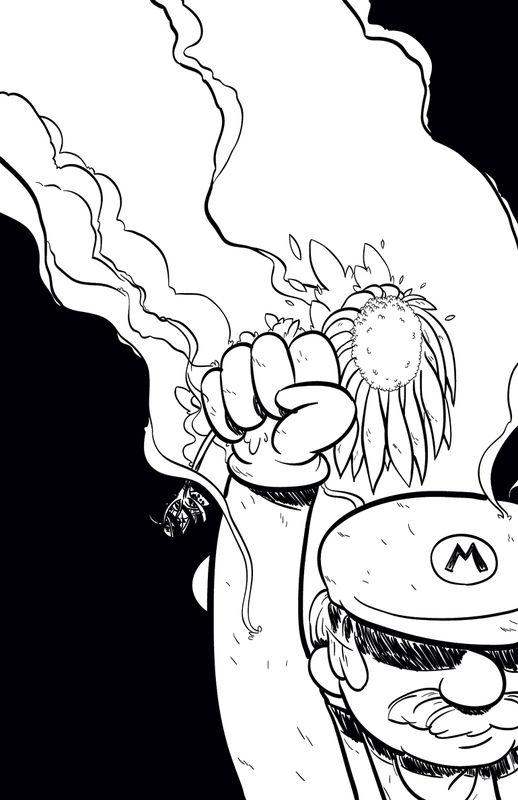 Scott Hallett | Sketchbook: Super Mario Bros. - Yell Fire! I had posted this over at my tumblr, but if my stats are anything to go by, no one visits that page. I think I may either a) shut it down, or b) use it as a process site and post each phase of a drawing piece by piece. Then I can post a whole full write up on this site, which I'll always consider my "main site". Any thoughts? I've had a love/hate relationship with Nintendo my whole life. 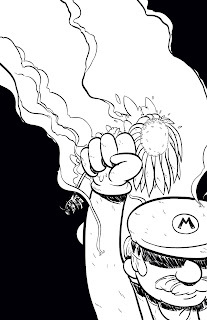 It was my first video game console, and I played it into the ground, but I feel like lately either Nintendo's lost their way, or I've out grown (most) of their games. Either way, I've probably spent more hours finding out my Princess was in another castle than with any other game. I have done some colours for this piece, but currently don't like them. I'll have to try again or at least try and salvage them at some point.